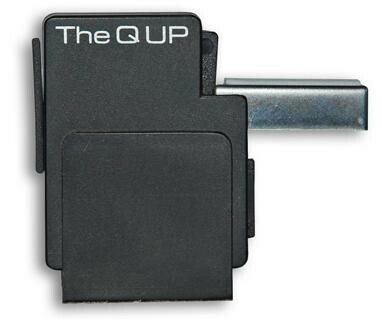 The Q UP is a high precision device that safely lifts your tonearm at the end of the record, an essential tool for vinyl music lovers to ensure your stylus isn't unnecessarily worn by going around and around at the end of a record. 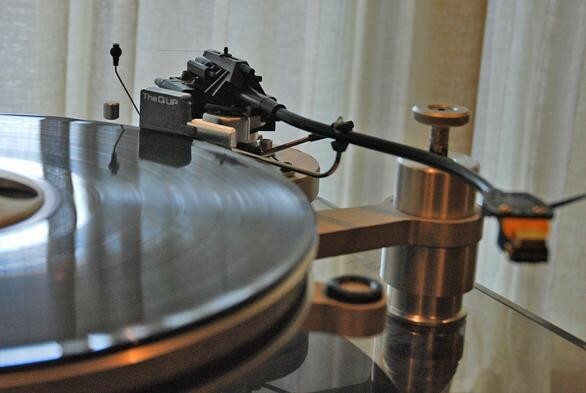 We've all forgotten to take the tonearm off a record at one time or another and more than a few of us at Audio Affair have fallen asleep in the past with a record playing, only to wake up the following morning with a thick amount of vinyl built up on the stylus. 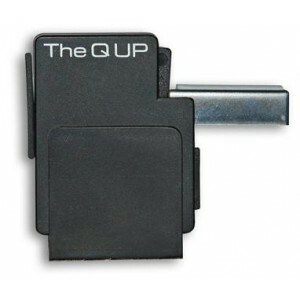 Well, no more - use the QUP and keep your stylus safe! 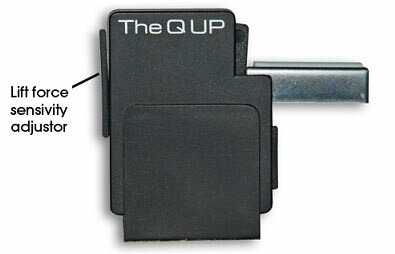 The Q UP can be installed in minutes, without tools, and is designed to fit on most manual turntables. Simply secure it to the turntable using the adhesive base and adjust the trigger and lift force sensitivity (see below) and you're away. 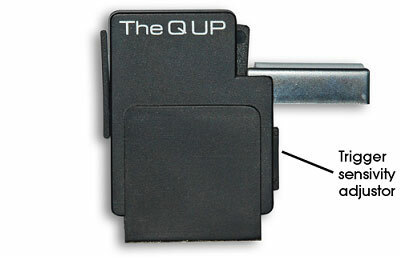 The Q UP can be set-up for a variety of tonearm heights, thicknesses and shapes and it interacts only with the tonearm at the end of record and does NOT adversely affect the tonal quality of your turntable in any way. 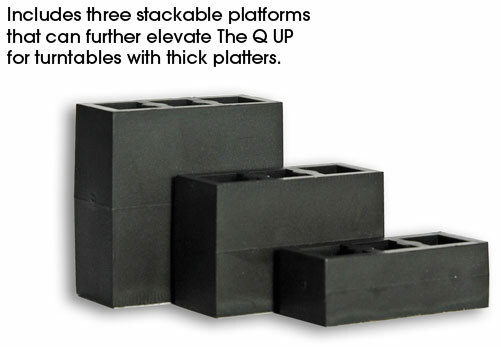 The base unit has an adhesive strip on the bottom which holds the lifter in place on your turntable. The base unit is separate from the lifter and allows it to move horizontally for fine tuning the trigger position and also vertically for different tone arm heights. 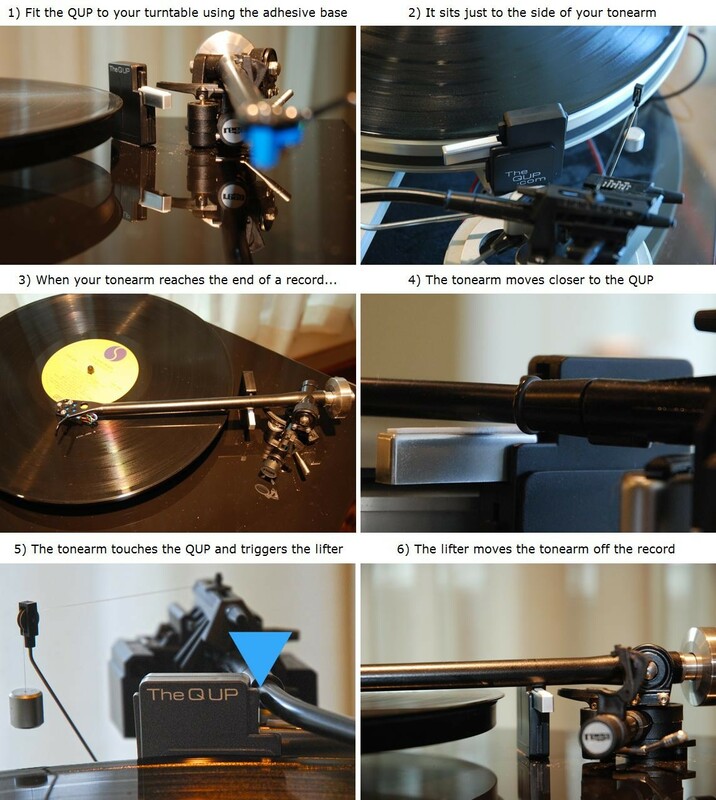 Lift force sensitivity is a slider on the back that allows you to adjust how much force will be needed to lift your specific tonearm off the record. The higher the slider the gentler the lift. 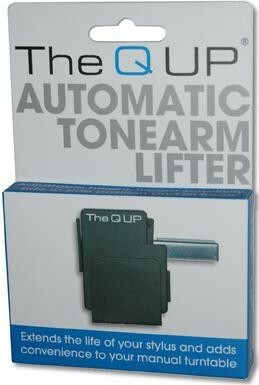 The trigger sensitivity adjustor moves the trigger allowing you to select the correct position for firing the lifter. 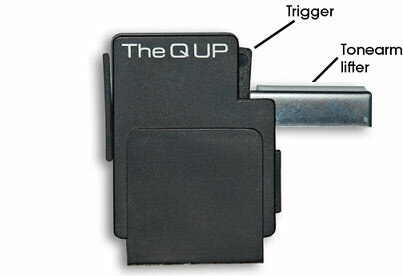 The trigger is the part of The Q up which ultimately comes into contact with the tonearm when the record has reached the end of play. 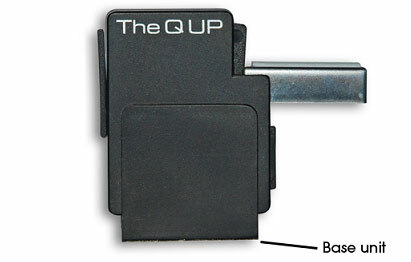 The tonearm lifter elevates the tonearm when the trigger is fired. I received it promptly 2 days after ordering on Line and like it says can be fitted in 5 minutes. I've fitted it to my Audio technica at lp5 turnable it did take a little longer than minutes but it was quite straightforward even without instructions you can adjust the trigger spring to suit the weight to be lifted along with adjustment for the trigger. Okay it's not going to be as good as more expensive types but it does the job and I'm pleased with it and recommend it.